ARRA News Service: Unchained . . .
. . . Kanye West and Candace Owens appear to be free from the crippling liberal chains that bind many in the black community and the groupthink that comes with it. 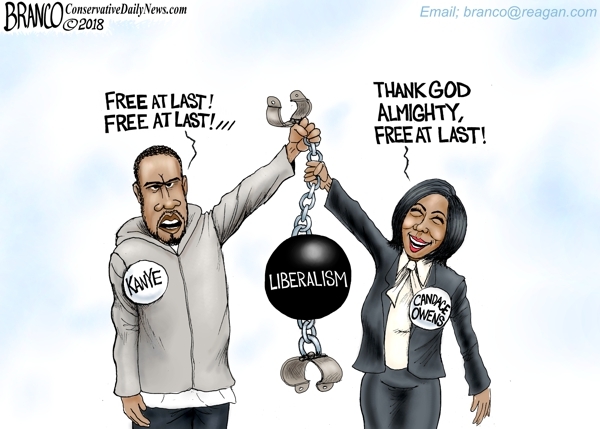 Tags: Editorial Cartoon, AF Branco, Kanye West, Candace Owens, free thinking, unchaned To share or post to your site, click on "Post Link". Please mention / link to the ARRA News Service and "Like" Facebook Page - Thanks!